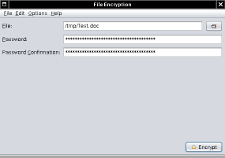 Fileencryption is a PC application for password based file encryption. 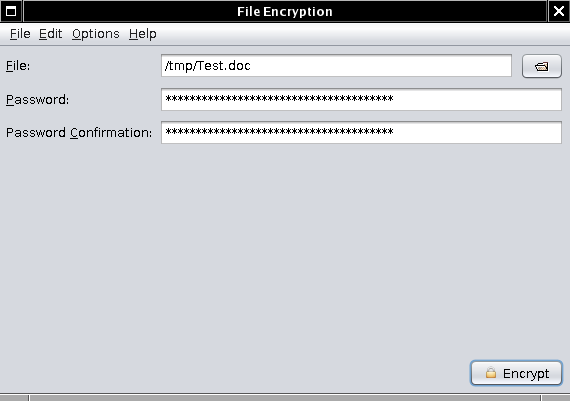 Encrypt, lock, protect files or documents with passwords. 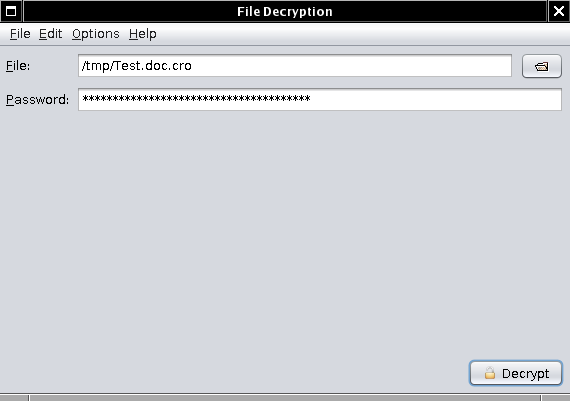 Creation of files using the CRO file format. AES 128, 192 and 256 bit. Blowfish 128, 256 and 448 bit. Camellia 128, 192 and 256 bit. CAST6 128, 160, 192, 224 and 256 bit. RC6 128, 192 and 256 bit. Serpent 128, 192 and 256 bit. SHACAL 128, 256 and 512 bit. Twofish 128, 192 and 256 bit. Threefish 256, 512 and 1024 bit. Visitors of this site are also interested in Passwordmanager.